Dozens of Israeli soldiers invaded various districts in the occupied West Bank, and kidnapped 19 Palestinians, clashes have been reported.Soldiers kidnapped Hasan Breijiyya, coordinator of the Popular Committee Against the Wall In Bethlehem. as they attacked a nonviolent protest against a visit of the Israeli Transportation Minister to the southern entrance of the town as part of plans for a settler road. Local sources in the Al-Jalazoun refugee camp, east of the central West Bank city of Ramallah, have reported that the army invaded the camp, broke into and searched several homes, causing damage, and kidnapped three residents. The three have been identified as Noureddeen Oleyyan, 25, Ma’rouf Bajes Nakhla, 23, and Tahreer Al-Araysha, 20. Soldiers also invaded Bodrus village, near the central West Bank city of Ramallah, and kidnapped eight Palestinians identified as Abdullah Shokry Awad, Ahmad Shokry Awad, Sa’adat Shabaan Awad, Kamal Hasan Ali, Nasser Marar, Asrar Yousef Ibrahim, Mohammad Naim Marar, and Mohammad Abdul-Karim. Furthermore, several Israeli military jeeps invaded the village of Ya’bod, near the northern West Bank city of Jenin, and kidnapped Majdi Ghazi Harzallah, 23, Ezzeddeen Farouq Harzallah, 20, and Mohammad Tawfiq Abu Baker. Dozens of soldiers also invaded the Al-Khader town, near Bethlehem, and kidnapped one resident identified as Yousef Aref Salah, 24. Soldiers also invaded the home of Kamel Harzallah and violently searched it. Clashes have been reported between local youths and Israeli soldiers after the army violently searched the homes of the kidnapped Palestinians. Soldiers fired gas bombs and concussion grenades; several residents have been treated for the effects of teargas inhalation. 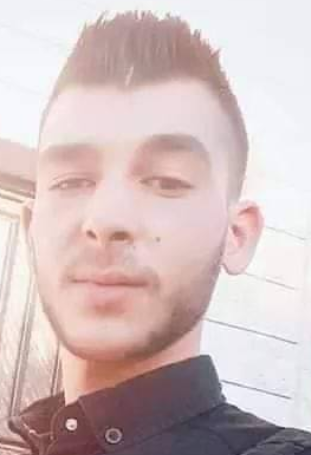 In Nablus, in the northern part of the West Bank, the army kidnapped one Palestinian identified as Wael Ahmad At-Tabouq, 20, after violently breaking into a home and searching it causing property damage. The soldiers claimed to be looking for weapons; no weapons were found. Dozens of soldiers also invaded Tal village, west of Nablus, and kidnapped one resident identified as Sameh Zeidan. In related news, soldiers invaded Al-Yamoun town, west of Jenin and broke into the home of former political prisoner, Imad Najeeb Sammoudy, searched the property and interrogated him.